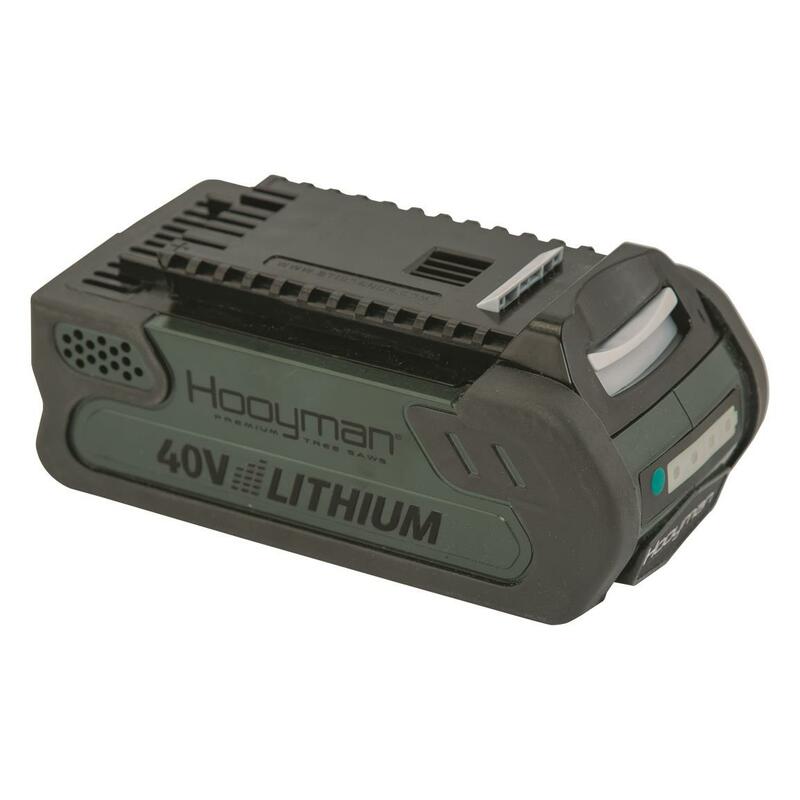 With the Hooyman® 40v 2Ah Lithium-ion Battery, you'll get a longer runtime, better performance and fade-free power without the memory loss of other batteries. It snaps in and out of your Hooyman Pole Saw (Item No. 704589) quickly and easily. Plus, a LED battery-charge indicator provides at-a-glance power status. Have one on hand and keep your saw up and running.